One of the most beautiful places in Arizona is the majestic White Mountains. 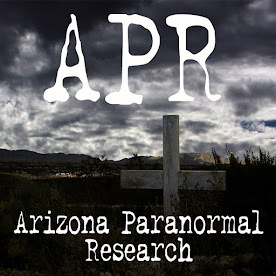 The area has beautiful forest, lakes, streams, and many stories of paranormal activity. 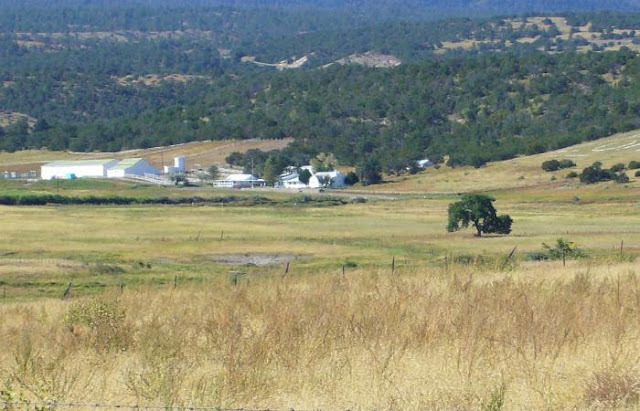 There have been many claims of UFO, Bigfoot, and ghost sightings. Unfortunately, the White Mountains are suffering a massive wildfire which is destroying everything in its path. Greer, Arizona is one of these towns feeling the wrath of the fire. We were planning on taking a trip up there, rent one of the haunted cabins, and try our hand at looking for Bigfoot. The huge wildfires have swallowed up many acres of land but it was arson on May 10th that destroyed the Greer Lodge. The fire spread quickly throughout the structure and all that was left standing was the chimney. 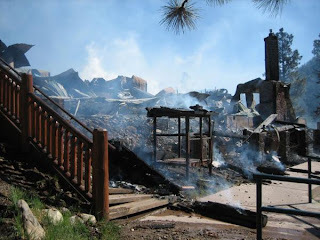 The lodge had 10 rooms, large lobby, and restaurant which are now completely destroyed. A couple of the cabins nearest the lodge suffered smoke damage. 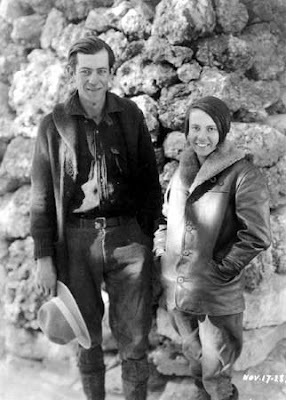 In 1947, on the Little Colorado River, Leland B. Entrekin had the foundation for the Greer Lodge poured. By the fall of 1949, the lodge was complete with each log carefully placed. Originally the lodge had a kitchen, dining room, and two guest rooms on the first floor with two more guest rooms and a porch on the second floor. By 1950, a barn was added with a laundry and two additional places to sleep. In 1959, the first cabin was built and named the “Little Lodge”. 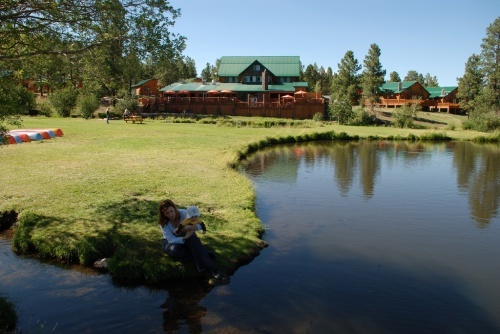 Since then, the lodge had several different owners and about 50 cabins built around the main lodge. 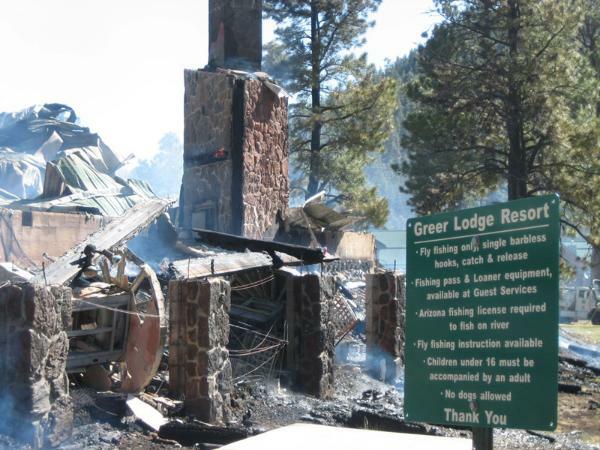 The owner of the Greer Lodge today says he will rebuild so his family has a legacy to be passed on. Sad to see such a historic an amazing place, reduced to ash. 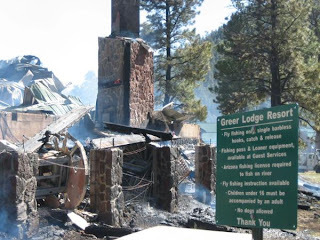 LiI, I just don't understand what brings someone to torch a historic place such as the Greer Lodge. I wish I could have seen it and stayed there before it happened. I stayed there in September every year for the last four years. 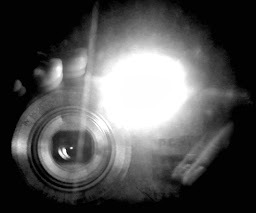 It brought me back in tune with nature and made me realize what is truly important. It is a wonderful memory and I plan to go back. I know the energy of that place is still there,deeply embedded in the earth...waiting. I wish I had seen the place before the fire. I'm sure the energy will still be there when I finally visit. I am looking forward to it.